What is the Birth Coaching Process? Everyone is unique. I believe we’re all made of the same stuff, just different amounts of it, hence this is what makes us. So if we’re all unique then two things are true. Our idea of perfect and our idea of the worst case scenario are unique just like we are. Birth coaching offers you a completely unique birth support service tailored completely to you and your partner’s needs for your perfect first cuddle. Why does it have to be completely unique? Because you are! You have certain skills, strengths and preferences that must be acknowledged and nourished during this hugely important time in your lives. You deserve to be put at the center of any birth support program and for it to accommodate all your needs and wants. I don’t believe in a one-size-fits-all support program for your child’s birth and neither should you. Start by identifying what it is you do and don’t want for your birth experience. Then we’ll use a variety of strategies to get you there. Do you want to speak to a professional together? We do that. Do you want to use hypnobirthing techniques to see if they’re right for you? We do that. Do you want to go for a coffee to talk to me about how you and your partner are feeling? We do that. It’s my job to help you clarify what it is you want and how to get it. Like any other life coach, I guide and support you on the journey. 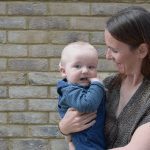 Why is Birth Coaching so Important? The birth process is a hugely emotional, powerful and intense time in a woman’s—and a couple’s—life. By its very nature, it can be unpredictable and almost impossible to completely control. Why then are vulnerable parents-to-be given either an overwhelming amount of information, new strategies or programs to learn (even when they might not want to but there’s nothing else out there to help them feel prepared) or made to rely heavily on an “expert” instead of having their own voice? I believe if we prepare individuals and couples to be strong and confident enough to cope with this unpredictable process then they can have the freedom to enjoy it, no matter what happens. It can be really daunting knowing that birth doesn’t always go to plan (plan A, B, C or D sometimes!). However, by learning coping strategies that are best suited to your personality and using a range of techniques most suited to your needs, the more confident you can start to feel in your own birth process. Birth coaching does just that, it gives expectant mums and dads all the tools and support they need to truly enjoy the first cuddle. How does Birth Coaching do Such an Amazing Task? We achieve this by using wellness and resilience personal coaching skills (think Tony Robbins!) and applying them to the birth process. Life coaching is all about taking you from where you are now to where you want to be. Birth coaching is exactly the same thing. Taking you from the first trimester to the first cuddle with your wonderful, amazing and unique little bundle of joy. Juliet Forsyth-Farrelly is the Founder and Director of The First Cuddle Birth Coaching. She is a trained hypnotherapist and has a certificate in Integrated Wellness and Resilience coaching.